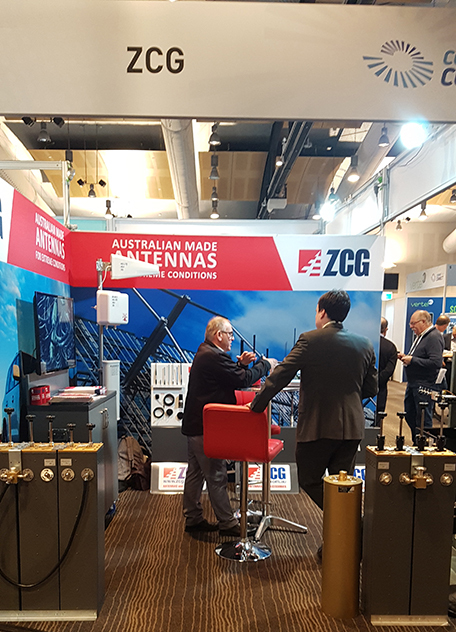 ZCG has recently returned from a successful Comms Connect Sydney located at Rosehill Gardens race course in Western Sydney. ZCG would like to firstly thank the Narelle Granger and the WFevents/ Comms Connect team for organising the exhibition as well as the Critical Comms team for all their hard work and assistance leading up to the exhibition. ZCG would also like to thank all of the customers as well as new contacts who came and visited and enquired at stand 37. ZCG has received some valuable feedback as well as new prospects that ZCG will assist to supply high quality solutions for their requirements. 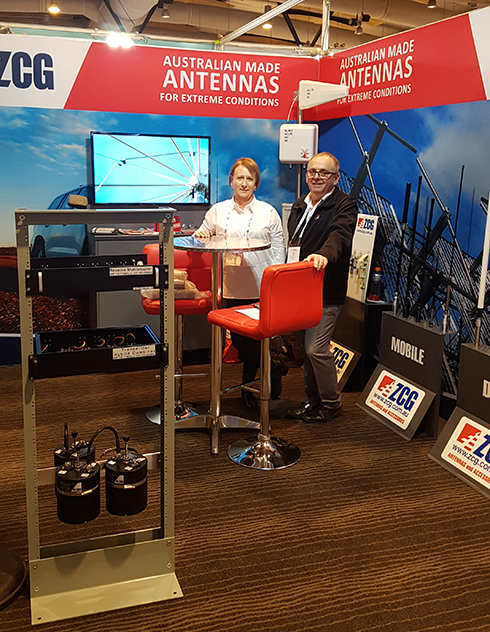 If you’re heading to Comms Connect Melbourne, ZCG will be proudly exhibiting, more information and stand location will be available closer to the date. Find out how to get the exhibition here. ZCG has received a significant contract to supply high-end antennas for the Australian Department of Defence as part of technology designed to keep troops safe from explosions in the field. The advanced troop protection system, designed by the Defence Science and Technology Group and manufactured by L3 Micreo in Brisbane, includes custom-made antennas, designed, tested and manufactured at ZCG’s Lindenow head office. The locally made antennas are a critical component of the suite of robust troop-protection devices specifically designed for use by Afghanistan National Defence and Security Forces, for use by troops on foot, and mounted in light vehicles. 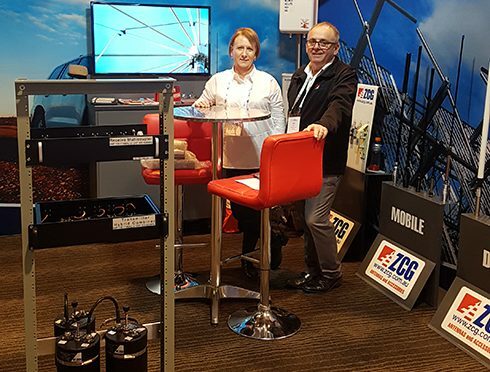 “The ZCG technical team spent six months last year working with our partners in Defence to develop antennas for devices that block radio-frequency transmission so enemy combatants can’t remotely trigger improvised explosive devices (IEDs),” ZCG managing director Garry Kelly said. The family-owned company designs and manufactures antennas for extreme conditions. Under the direction of Mr Kelly, a radio-frequency expert, ZCG offers premium off-the-shelf and customised solutions to customers around the world. It provides everything from mobile antennas for use on vehicles and the marine industry; base stations for police and emergency towers; through to custom-designed broadcast antennas that enable radio and TV broadcasters to deliver a high quality, targeted signal. Autonomous haul trucks in the mining industry also rely on their products. This is the second time the company has worked with Defence and L3 Micreo on this project, known as REDWING. 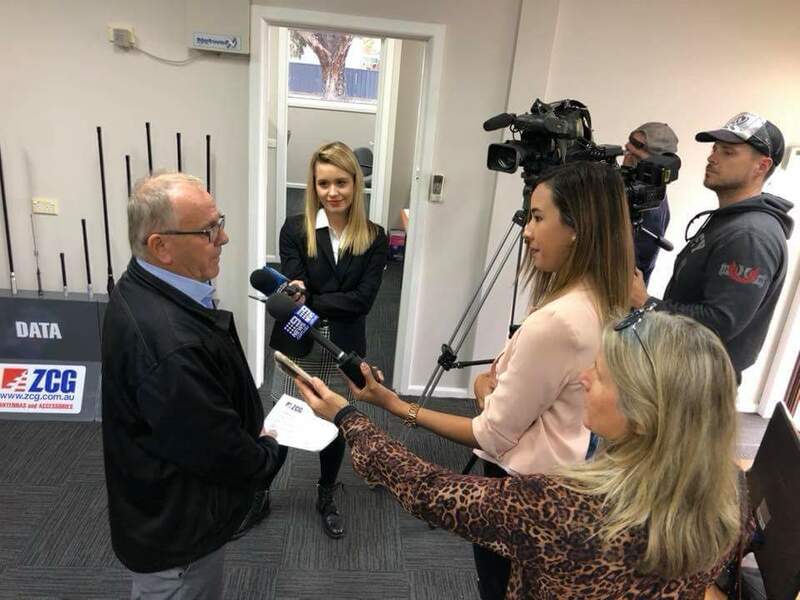 “Over the past two years, we have supplied more than 150,000 antennas, on time and on budget, for the first version of this technology,” Mr Kelly said. ZCG has worked hard to improve its systems to ensure it meets the minimum criteria for engaging with major defence players. 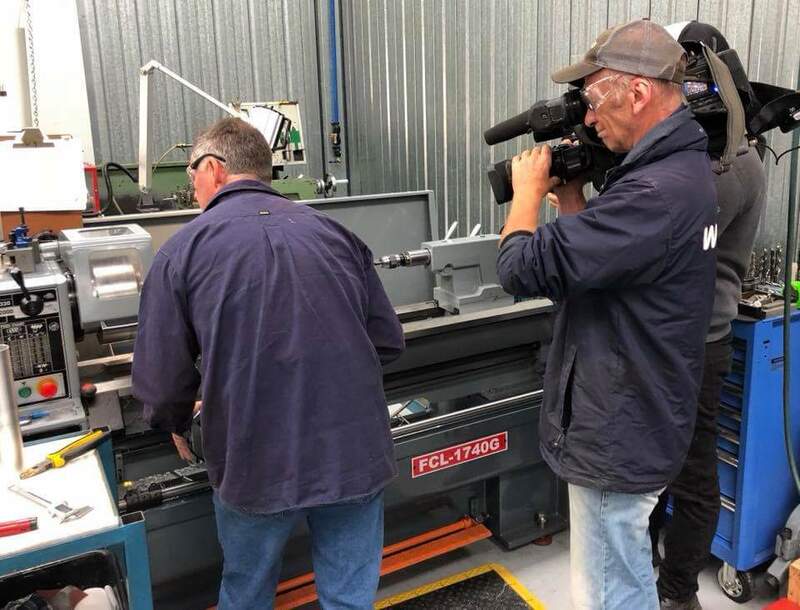 It renovated and restructured its Lindenow head office and completing a lean manufacturing and continuous improvement program run by Melbourne consultants OPTIM Improvement and co-funded by East Gippsland Shire Council. The program helps local businesses to structure and operate their workplaces to be more competitive in domestic and export markets. ZCG has now earned certification for ISO 9001 : 2015 Quality Management Standard, which means the company is operating at an internationally recognised standard. It also now qualifies for the ISO 14001 : 2015 Environmental Management Standard and AS/NZS 4801:2001 Health and Safety Management Standard. 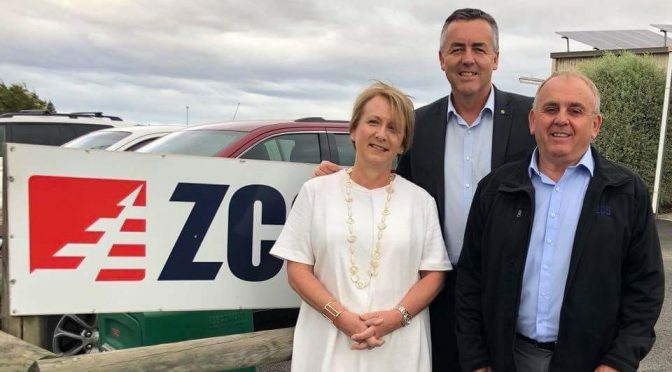 The Minister for Defence Personnel and Veterans Affairs and Federal Member for Gippsland, Darren Chester, said it was a great achievement for regional businesses, such as ZCG, to win significant national contracts. 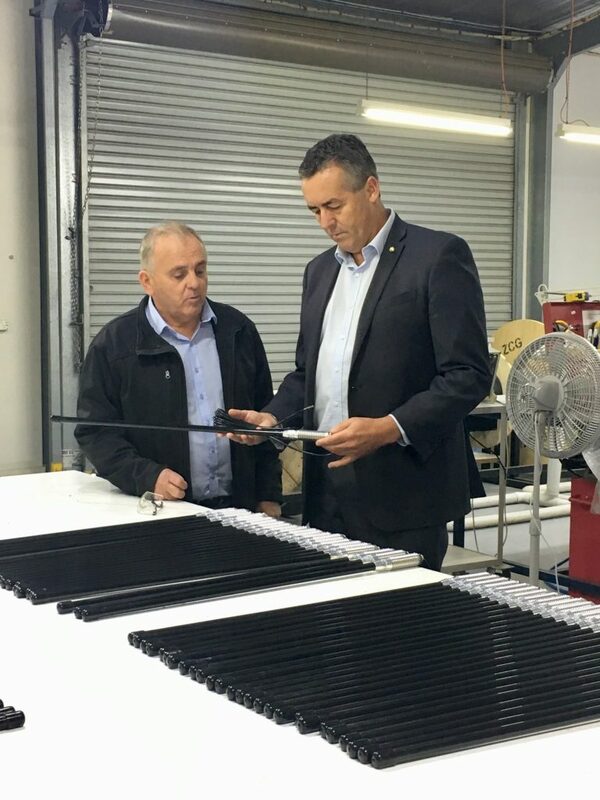 “It is essential for small companies such as ZCG to win major contracts, which help secure jobs, strengthen Australia’s capabilities and ensure the security of technology,” Mr Chester said.